65mm Rebooted. 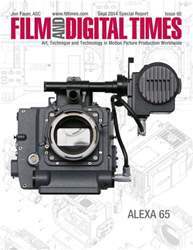 ALEXA 65 is a new, large format 65mm digital motion picture camera from ARRI. 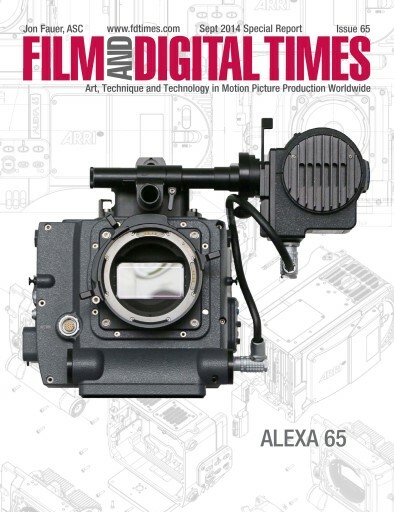 Imagine an ALEXA (35mm) camera with a sensor that is 3 times larger. It has a familiar ALEXA body style, about the same size and weight, a little bit wider, with a digital 65mm format sensor. And new 65mm lenses. Here is the Film and Digital Times 36-page special report printed only at Cinec, and now available here are a complimentary online iPad edition.